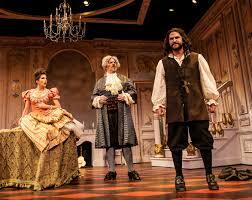 Tartuffe was one of the great comedic plays by one of France's premiere playwrights, Moliere. Unlike in other countries, theater in France was heavily patronized by the king. Nonetheless it was highly controversial, which ultimately only contributed to its longevity.